Kembara City (also known as Kembara CT Enterprise) is a bus company based in the coastal town of Pontian, Johor. It has started operations in 2007 as a local rural bus operator in the south west coast of Johor. Formerly known as Pontian Liner, it used to run an express bus route to Larkin from Pontian. However, the company stopped these services and had transfered these buses to run from JB City Square to Pulai Indah. The bus fleet consists of the Japanese brands such as Hino and Nissan Diesel. While the older buses are registered under Arwana Zafran Transportation Sdn Bhd, brand new buses decorated in the Trans Iskandar livery and second-handed buses in their corporate livery acquired since 2014 are registered under Kembara CT Enterprise Sdn Bhd. 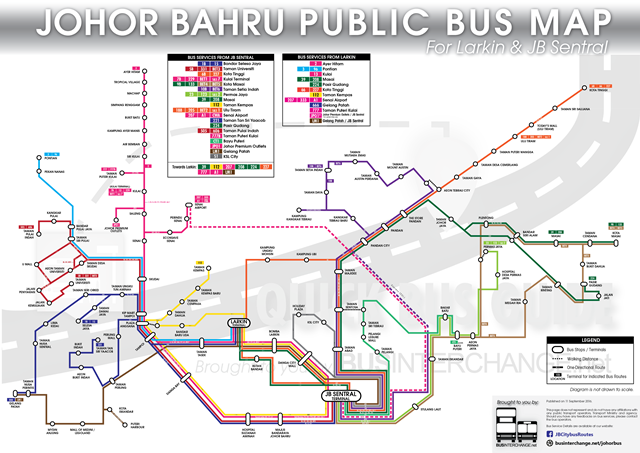 Kembara City also operates the Bas Muafakat Johor bus services in the Pontian district.